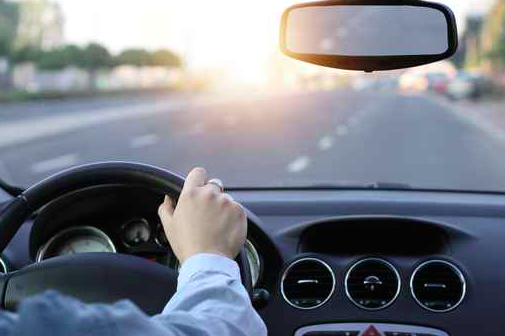 The evidence against Pennsylvania drivers continues to mount, this time in the form of a survey where residents basically admitted they don't have much courtesy for others on the road. Kars4Kids, the national nonprofit whose catchy jingles you may have heard on local radio stations, conducted the survey as part of the Drive Human campaign. The aim is to remind us all that drivers are people by encouraging better road behavior nationwide. What the survey unearthed is that road violations tend to vary state by state, creating a regionally distinct map of American disregard. Pennsylvania treats slow drivers nicely. However, if you come to a backed up exit, watch out! These drivers are likely to cut in when it comes to those backed up exits. For the most part, it seems Pennsylvania respondents answered honestly to multiple choice questions that invited them to acknowledge they aren't exactly out to make friends on the road. Here's a sample question. This seems to be one of the questions that tanked Pennsylvania's grade. For the most part, as shown in the survey results, responses landed Pennsylvania in the "C" range. Watch out for your parking spot in New Jersey! They are the 2nd most likely to steal your parking spot. Plus, if you are a slow driver, be aware that this isn’t the state for you. Wait, doesn't that sound worse than Pennsylvania?